So… you’re ready to buy a house, but if you are like most people, you probably have some questions about financing a house. Don’t worry, you’re not alone. Home buying can be one of the most exciting things you do in your lifetime whether you paying cash and there are some pros and cons or when it comes to shopping for a mortgage. However, it can also be one of the most stressful, BUT, only if you let it! The best way to prevent it from becoming stressful is to take some time to learn about the process, especially the financing. Besides, we’re talking about your money here so why wouldn’t you take the time to learn everything you need to know so you can make an educated decision about your home buying and financing options? Financing a house isn’t like financing a car, or anything else for that matter. Do you know all you need to know about financing a house? 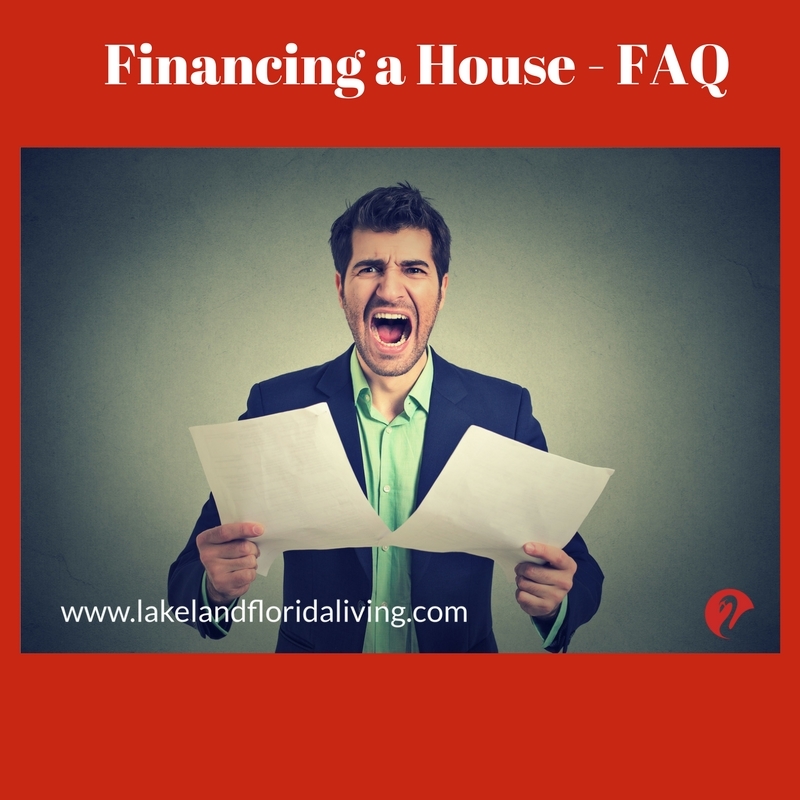 Here are the various different options available for financing a house and the pros and cons of each. Many people think the home buying journey begins with finding a house. But nothing could be further from the truth. [clickToTweet tweet=”Before you begin looking for a house, you need to get your financial house in order.” quote=”Before you begin looking for a house, you need to get your financial house in order.”] And that begins with deciding on which financing option is right for you (or not). Then finding the right mortgage company to facilitate your loan. Are Rent-to-Own Homes a Good Option? A rent-to-own home might sound like a good idea, especially if you have bad credit and can’t get approved for a mortgage, but it really isn’t. Most rent-to-own contracts require you to pay a large deposit. The first problem is that you just put down a lot of money on a home you don’t own. And, if you change your mind, or don’t end up paying for that home for whatever reason, you will lose your deposit and all the money you paid in. That’s a lot of money to lose! Additionally, there are so many things that could go wrong. For example, what if the owner of that home falls behind on his mortgage and the bank forecloses? Then you will not only lose all your money, but you will also be forced to move. Is Owner Financing Better Than a Traditional Mortgage? Before we answer the question let’s get one thing straight, owner financing is not the same as a rent-to-own contract. 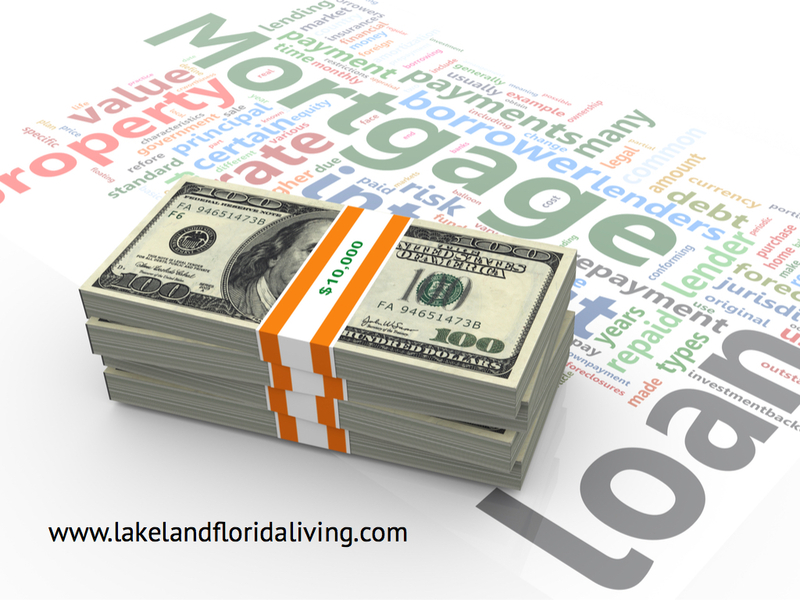 With owner financing, the owner of the home must own it outright, so a mortgage company is not involved. However, you will enlist the service of a title company and take all the same steps you would as if you were buying a home with a traditional mortgage. Now on to the question…is owner financing better than a traditional mortgage? Just as with anything else, there are pros and cons of each. You won’t need a lender’s loan approval. Owner financing will give you the financial assistance you need to buy the home you want now versus having to wait. Owner financing is a much quicker process than applying for a mortgage. Owner financing eliminates a wide variety of costs. For example, administrative, appraisal, and other associated costs. Traditional mortgages require 20% down; otherwise, you will have to pay Private Mortgage Insurance (PMI). You will have to pay a higher interest rate than you would with a traditional mortgage. You will ultimately pay more for the house. The balloon payment that’s due after five years could cause you to lose the house if you don’t have enough money to pay it. Again, the decision whether to go with an owner financing deal or a traditional mortgage will depend on your particular situation and if you are comfortable with the terms of such a deal and any other factors affecting your situation. However, you can never go wrong with traditional financing (unless you don’t make the payments) because there are laws and legalities that protect you from the potential of losing your home due to a seller’s financial errors or other missteps. Is 100% Financing a House Ever a Good Idea? While 100% financing, also known as a no money down loan, sounds like a good idea, but you really need to fully understand what you’re getting into before deciding to go this route. These types of loans enable you to keep and use your cash for other purposes. Having more cash on hand will help make sure you can make your mortgage payments. You can use the money you would otherwise have put down on a home and invest it for a higher return. Most 100% loans carry a higher interest rate so you ultimately end up paying more for that home. When you pay your closing costs on that loan, you will generally pay some points as well. With 100% loans, the bank doesn’t get their share upfront; therefore, they will ask for it throughout the term of the loan instead. No money down loans will result in having higher monthly payments since you will be paying a higher interest rate just for the privilege of not having to put any money down. Since you aren’t putting any money down, you won’t have any equity in your home. That means if the property values drop, you might be locked into a home you can’t sell for what you owe on it. A 100% loan option is, again, a personal decision. However, if you don’t have the money to put down on a home, a no money down loan will be your only mortgage option. So, if you have some money saved, it would benefit you greatly to use that money to put down on your new home. This would save you a significant amount of money over the life of the loan. What Is FHA Financing a House? FHA stands for Federal Housing Administration and this type of financing protects lenders from financial risk because the FHA backs those loans if a borrower defaults. There is a set criteria lenders have to meet before their loans can be approved as an FHA loan. And borrowers also have to meet a set criteria to qualify for this type of loan. They don’t require a large down payment. Generally, the minimum down payment is around 3.5% of the purchase price of the home. An FHA loan is great for first-time homebuyers who don’t have equity from a previous home sale to put down on their new home. If you’ve gone through a bankruptcy or foreclosure, you might still be able to qualify for an FHA loan. There are more flexible guidelines when it comes to your credit score. You are allowed a higher debt-to-income ratio. An FHA loan requires you to pay PMI, which is a monthly insurance premium, and an upfront premium which will add to the overall cost of your mortgage. Your interest rate might be higher than it would for a conventional loan if your down payment is smaller. A conventional loan is one that’s not guaranteed or insured by any government agency, unlike an FHA loan which is. This type of loan generally has a fixed interest rate and fixed loan terms. Sometimes the loan fees are negotiable. A fixed rate will protect you if the rates go up because the loan rates are fixed as stipulated by your loan contract. You will have equity in your home immediately which will help protect you if the market drops. You won’t be required to pay PMI (mortgage insurance) if you put down 20% or more. Interest rates could vary quite a bit because they are set by the lender and aren’t governed by an agency like the FHA. A higher down payment is required with a conventional loan than is required for an FHA loan. A fixed rate could end up being a negative if the interest rates are high when you buy your home, but then drop and you find yourself unable to refinance. The VA is the Department of Veterans Affairs and they provide loans to veterans and other eligible personnel to help them purchase a home with no down payment. PMI (mortgage insurance) is not required. A higher debt-to-income ratio is allowed. They offer refinancing options for qualified buyers. Even if you’ve had a bankruptcy or foreclosure, after two years, you might still be eligible for a VA loan. There is a mandatory VA funding fee. You can only get a VA loan on a primary residence. There are a lot of myths about VA loans; therefore, some sellers might be hesitant about receiving offers from a VA borrower, but this is easily overcome. USDA stands for United States Department of Agriculture and they offer housing assistance zero-down payment loans for rural, and sometimes suburban, homebuyers. This type of loan is mainly for low-income borrowers who can’t get approved for a traditional mortgage. This type of loan is issued by the USDA Rural Development Guaranteed Housing Loan Program, which is funded by the United States Department of Agriculture. A USDA loan is designed to help improve the quality of life for income-qualified buyers in rural America. And, these loans are more accessible than you might think. The cost of mortgage insurance is lower than FHA loans and they allow you to finance it upfront. They have flexible guidelines that allow them to work with non-traditional credit types. They also allow down payment gifts to be used. This program is not limited to first-time homebuyers. To qualify, you must live in a USDA eligible area. There are income limits in order to qualify. These loans are only for single-family, owner-occupied homes. A 30-year, fixed rate loan is the only option available. Financing a house requires some research and forethought before any decisions can be made. So take all the time you need to make sure you thoroughly understand your options and everything else involved. Don’t hesitate to talk with your real estate agent for some insight or a recommendation. A real estate agent can help direct you to the resources you need to make an educated decision about the financing options that are best suited to your particular situation.